When sparks and curses fly, more than just high-profile weddings are thrown into danger. 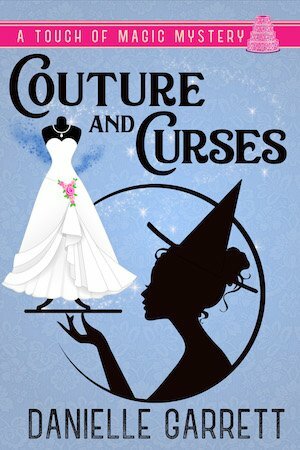 Every wedding-planning witch worth her wand knows that the dress must be an Aurelia custom creation. The magical fashion designer to the who’s who of the Seattle Haven is in high demand with a waiting list that would make most wedding planner’s eyes water. Luckily for her clients, witch wedding-planner extraordinaire Anastasia Winters has inside access to the famed fashion designer and a knack for making deals. However, on an after-hours errand to pick up a dress, Anastasia finds herself walking into a battleground. When the dust settles, Aurelia is locked in the grips of a powerful – and seemingly unbreakable – curse, and Anastasia is the only one who witnessed the vicious magical attack. When she starts having visions and nightmares, she knows she has to act soon or risk losing her friend and haven fashion icon, forever.